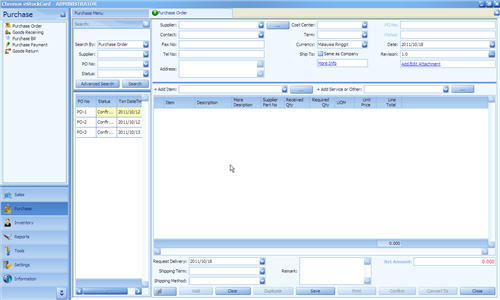 The Purchase Order in the eStockCard Inventory software is an order document which is being issued by the buyer to their suppliers indicating the item , quantity and price for products or services that will be provided to the buyer. 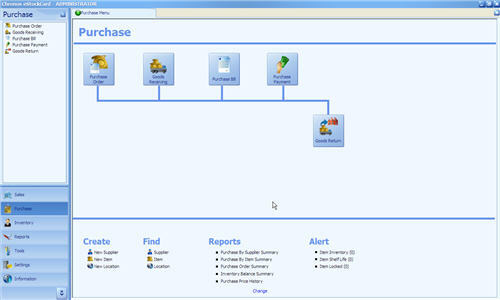 Step 1 Click “Supplier” and the pull down menu will display all the supplier lists, please choose one supplier only. 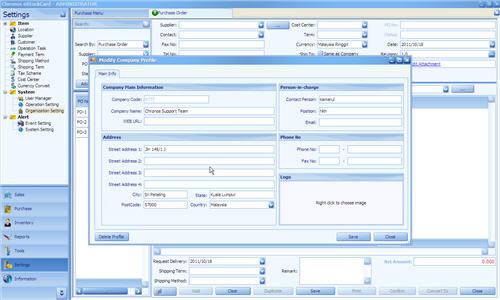 System will automatically retrieve predefined information for the selected supplier such as Contact, Fax No, Tel No, Address, Term and Currency. Step 2 Select “Cost Center”, if it is applicable. This is an optional field. 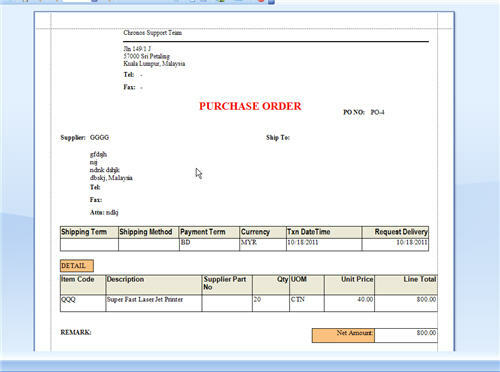 Step 4 Select item from the pull down menu “+ Add Item”, system will automatically retrieve default value such as UOM, Unit Price (amendable). 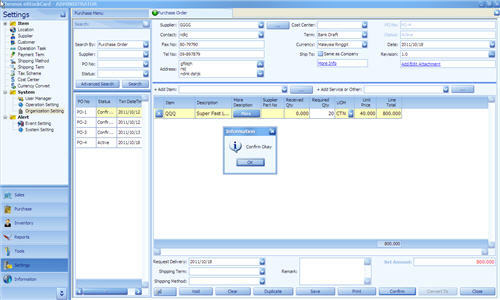 User is required to enter “Required Qty” and proceed to the next steps.